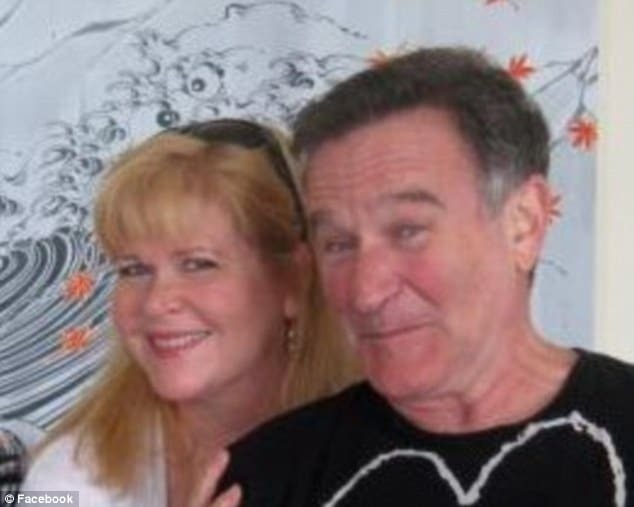 It has since been revealed that Rebecca Erwin Spencer is personal assistant that came to find the body of Robin Williams Monday morning after the comedian took his own life by asphyxiation. Radar Onlinewould tell that the 57 year old long term much beloved personal assistant had come to find the actor’s body after she took to entering his bedroom after he had failed to make his presence known at the family home. Having worked with Williams for at least 20-years, Rebecca was trusted by the manic comedian to keep him grounded, in particular keeping his ego in check by addressing him with the pet name, ‘Mork Guy‘, in reference to his breakthrough role in Mork and Mindy. Rebecca, who worked as Williams’ assistant on more than 33 films, including his Oscar triumph for Good Will Hunting, was praised by the comic when he accepted the Cecil B. DeMille lifetime achievement award from the Golden Globes in 2005. During his acceptance speech, Williams thanked the Foreign Press Association for honoring his work as a comedian, paid tribute to his family and credited Rebecca with keeping his ego in check by calling him ‘Hey, Mork Guy’. As a gesture of gratitude and solidarity between the actor and his employee, Williams it is believed bought the long term employee and her husband Dan their new house in Tiburon, SF. Explained a neighbor: ‘Both her and Dan were completely dedicated to Robin, it really was like they were part of the family. ‘When we heard his personal assistant had found him, we assumed it must have been either Rebecca or Dan. ‘And then when it came out that it was a woman, we knew it had to be Rebecca. It would have been so horrendous for her, it will stay with her forever. ‘She used to spend so much of her time with Robin. She traveled everywhere with him and was always round at his house. ‘They used to dog sit for him as well. Whenever you saw them walking their dogs and they had a little pug with them, that was Robin’s. ‘He sometimes used to come round and they would have little events in the back garden. We always used to joke with them that they never invited us. ‘They are a lovely couple, but they are quite shy and quiet, so they didn’t make a big deal of their relationship with Robin. 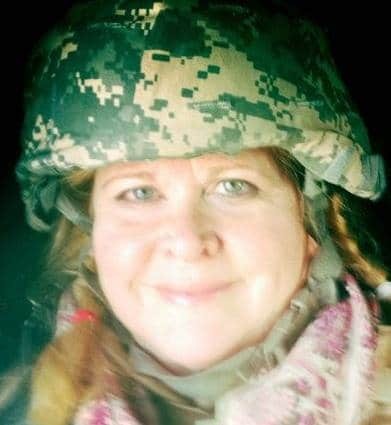 On Tuesday morning, Rebecca, who first worked with Robin on his 1993 hit, Mrs. Doubtfire, uploaded a picture of Robin Williams on facebook performing for the troops on one of his USO tours and added the message, ‘What a time we had!’. 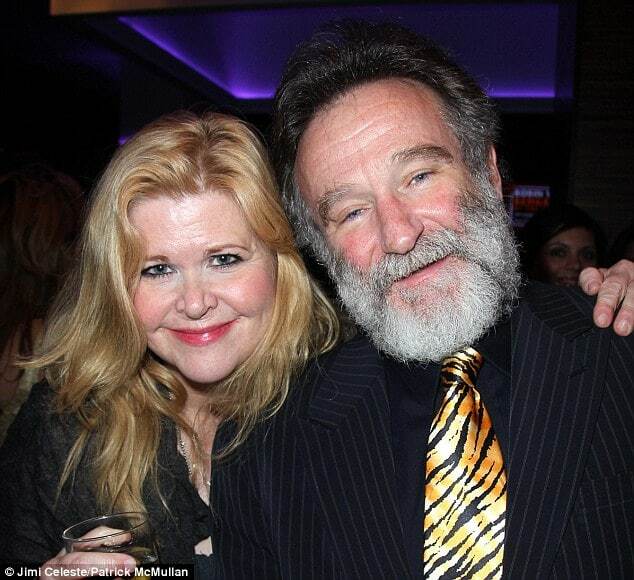 Robin Williams had been last seen alive by his wife, Susan Schneider, on Sunday night when she retired for the evening. 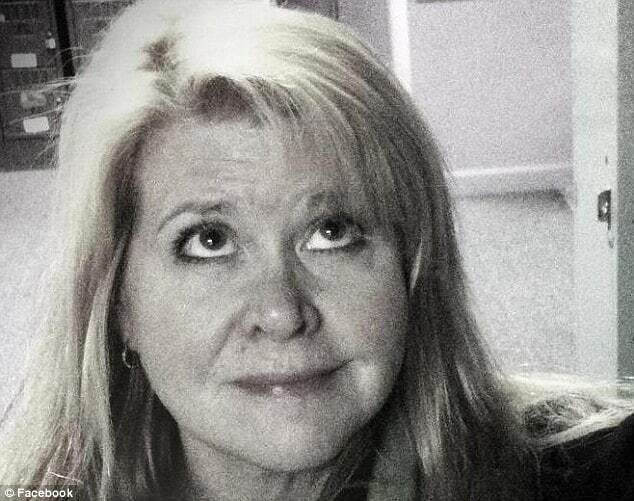 She left the next morning around 10 a.m., thinking that her husband was still asleep. It is not understood why the couple necessarily slept in different bedrooms and if whether that had become the norm and if that too may have intimated any possible strains between husband and wife…?